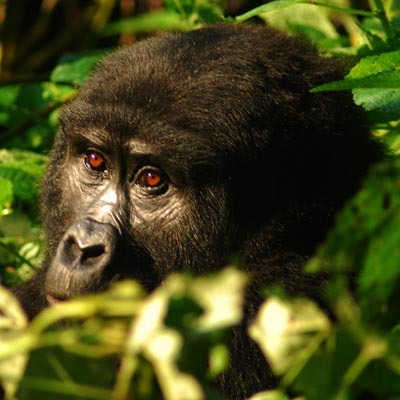 A dense swath of alpine rainforest blankets a steep mountainous terrain, sheltering our gigantic but gentle relatives, some of the last Mountain Gorillas remaining on the planet. 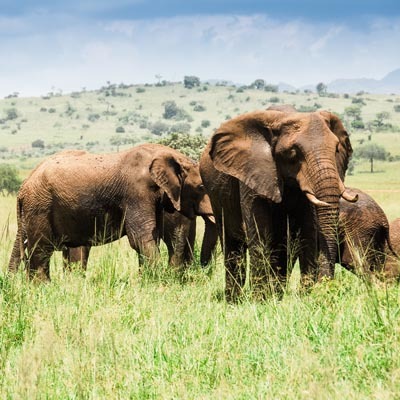 A trek through dense jungle is rewarded with a once-in-a-lifetime experience; to be in the presence of these awe-inspiring creatures in their natural habitat. 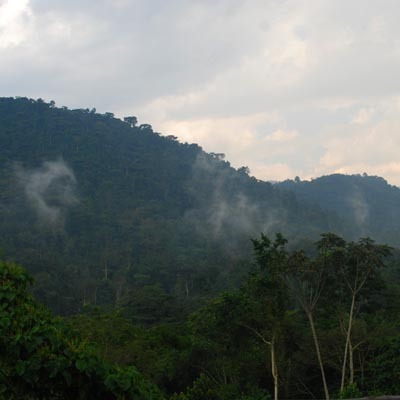 The scenic region surrounding the forest is dotted with volcanic foothills and beautiful crater lakes. 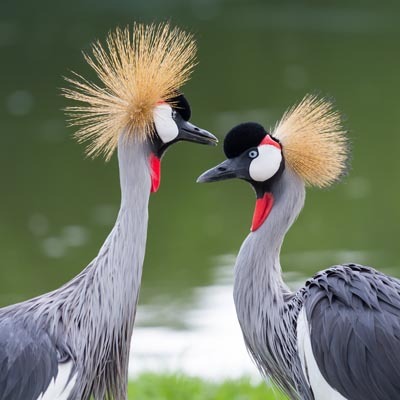 Here you could: Go on Safari, Take a Boat ride on the Kazinga Channel, Track Chimpanzees at Kyabura Gorge, Take a sunrise Hot Air Balloon ride over the savanah. 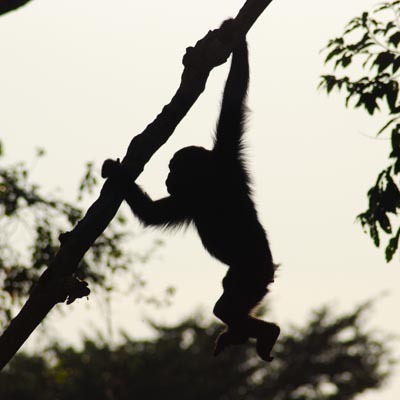 Unarguably the primate capital of the world, Kibale Forest is home to 13 different primate species (14 if you count yourself!). 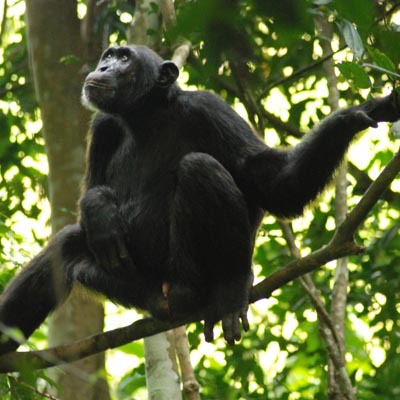 This is one of the top spots in the world to track wild Chimpanzees. 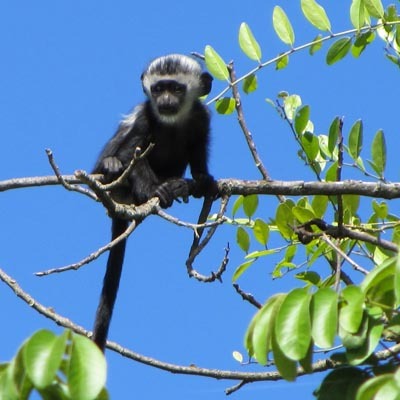 Should you find them you’ll marvel at the ways our closest relatives interact with each-other, and learn from your guide the secrets of this remarkable forest. 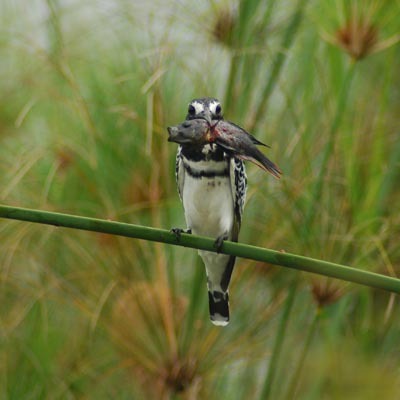 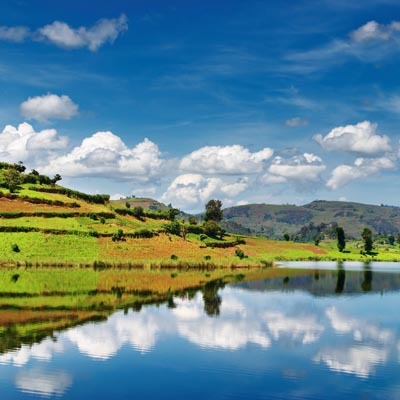 Nearby Fort Portal serves up a vista of tranquil crater lakes and lush, green tea plantations. 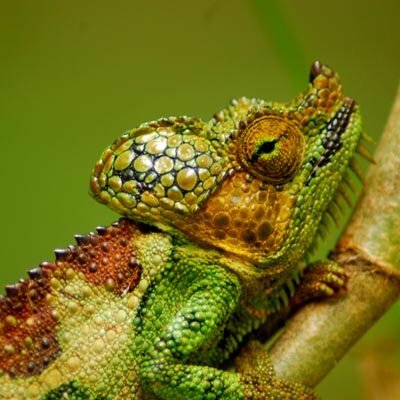 A mountaineering expedition in the nearby Rwenzori Mountain range; a unique journey and the experience of snow on the equator! 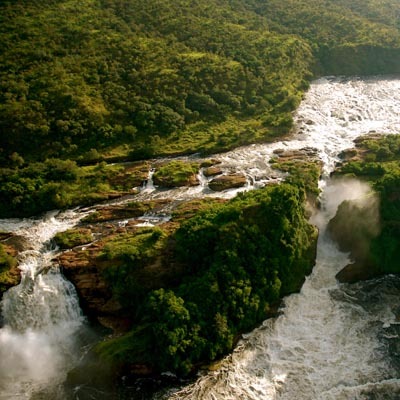 The mighty River Nile squeezes itself through a mere 6-metre gap to create the powerful, unrelenting explosion of water that is Murchison Falls. 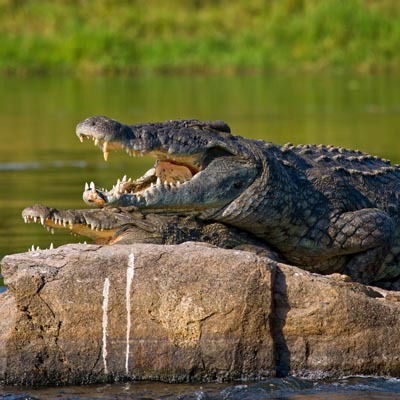 Gigantic crocodiles, hippos and a plethora of birdlife can be admired up close on a boat safari, while a safari game drive at dusk has a chance to spot predatory cats on the prowl for dinner. 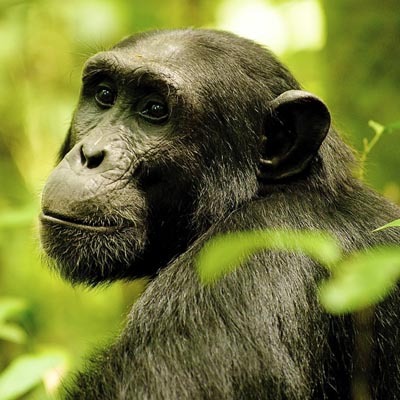 Chimpanzees can be tracked in nearby Budongo Forest, while near the park is Ziwa Rhino Sanctuary – re-introducing these magnificent giants back into Uganda. 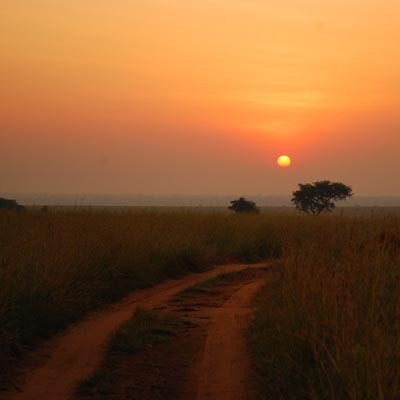 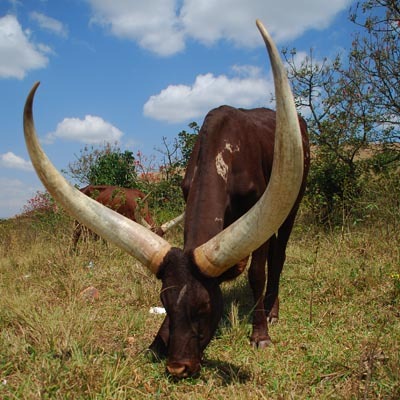 In the far, remote North of Uganda bordering South Sudan, Kidepo is one of Uganda’s least visited parks. 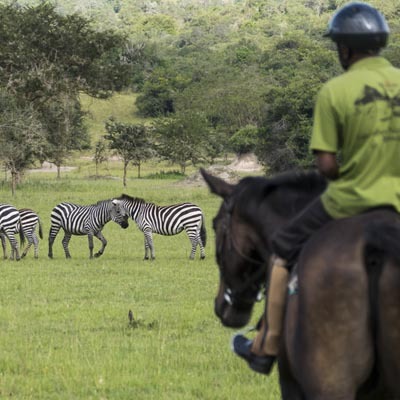 The rugged, arid terrain and the silence of the open plains gives it a feeling of true wilderness. 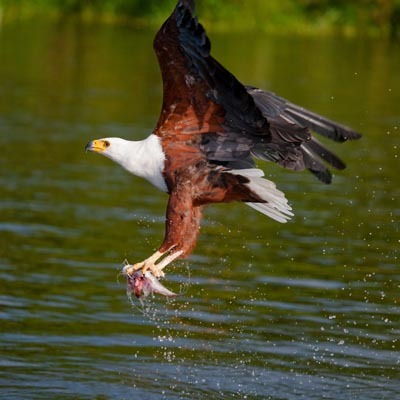 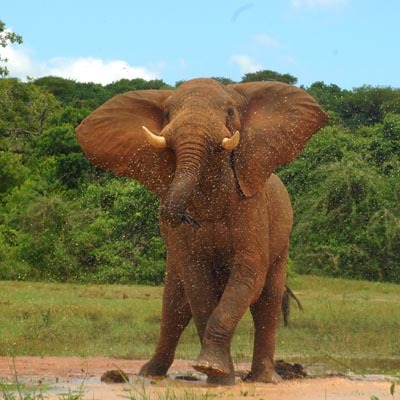 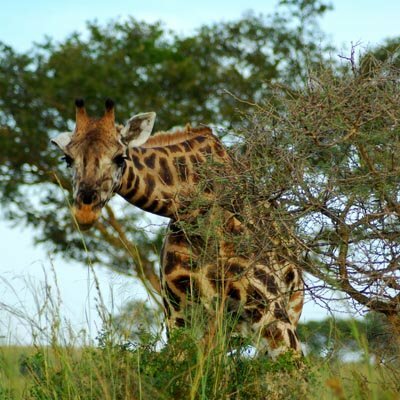 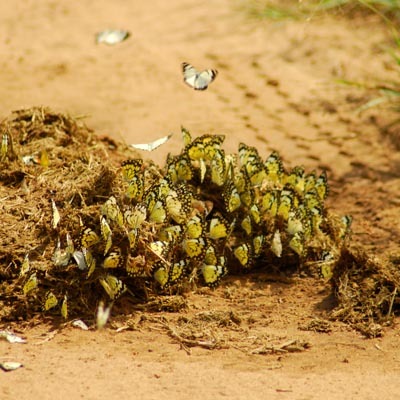 Visitors here can be rewarded with sightings of animal not seen elsewhere in Uganda such as Ostrich or Cheetah. 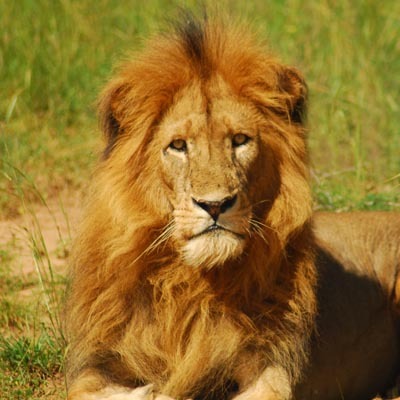 Lion sightings in this park have been reported as nothing less than spectacular. 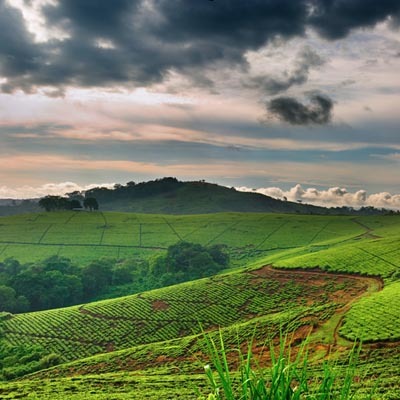 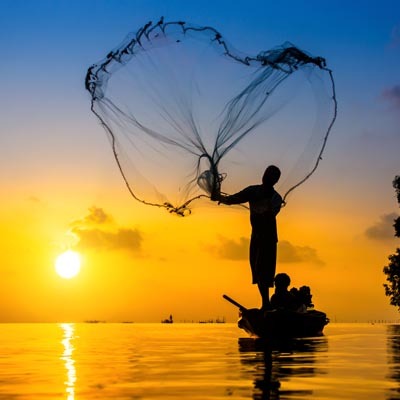 Small, relaxed and seated on a peninsula in Lake Victoria, Entebbe is home to the International Airport yet far enough from the capital city of Kampala to be a quiet, pleasant spot to relax after a long flight. 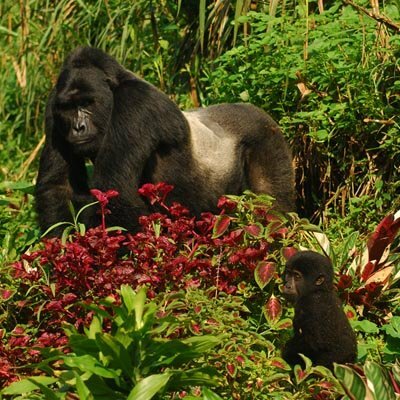 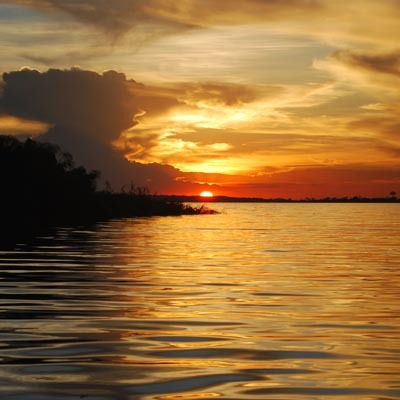 From here, Jane Goodall’s Ngamba Island Chimpanzee Sanctuary is accessible by boat. 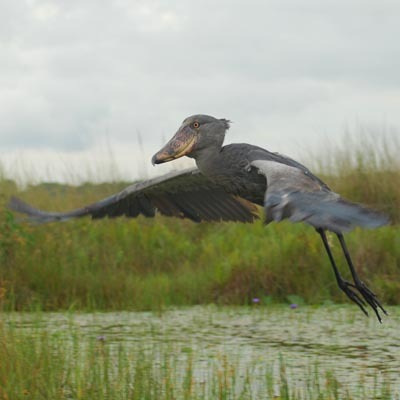 In nearby Mbamba Swamp, a trip in a local canoe offers good opportunities to spot the pre-historic looking Shoebill Stork in the wild. 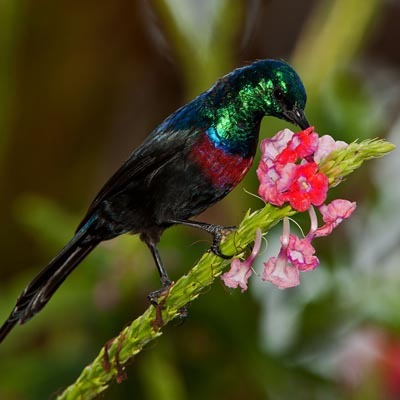 Entebbe’s colonial Botanical Gardens were the setting for the original Tarzan movie in 1957 and host a variety of rare plants and birds. 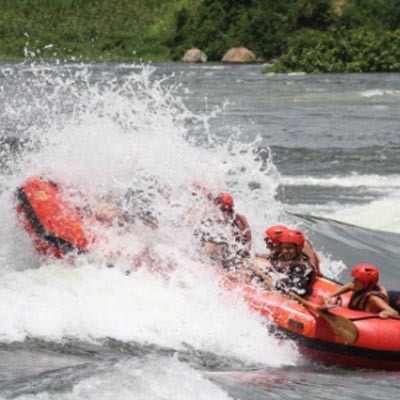 East Africa’s adventure capital and the mouth of the River Nile, Jinja is renowned for its White Water Rafting and other adventure activities. 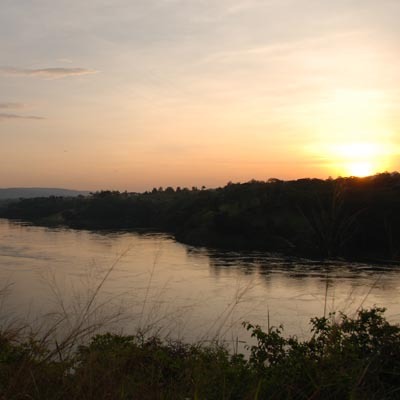 When the fun is over it is also a lovely place to spot a variety of birds and enjoy the sunset as you watch The Nile meander past on its long journey to Egypt. 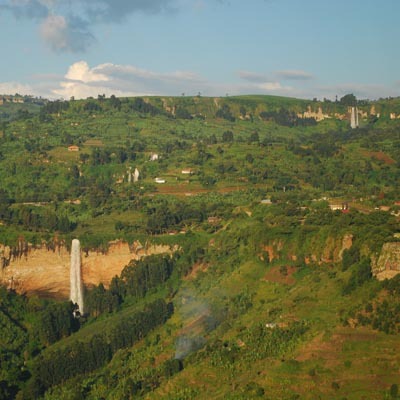 On the fertile Eastern border of Uganda lies the dormant volcano of Mount Elgon. 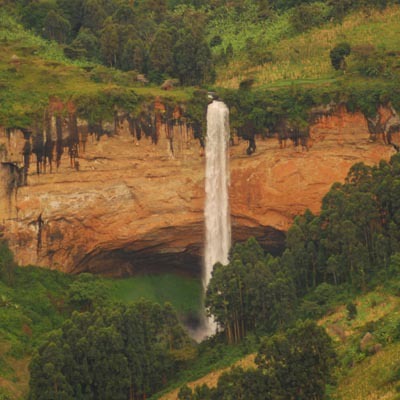 Rainfall from the summit flows down the mountain to create the impressive triple water falls of Sipi. 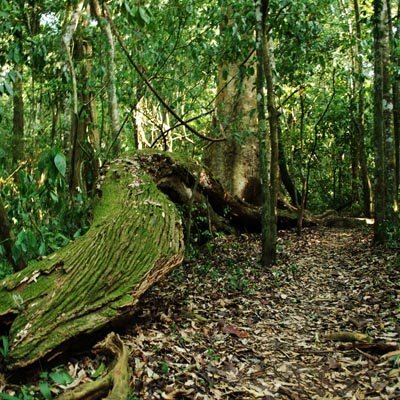 Mount Elgon is a spectacular multi-day hiking expedition to the caldera and down through bamboo forests. 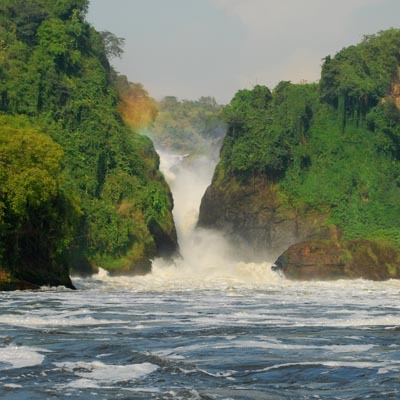 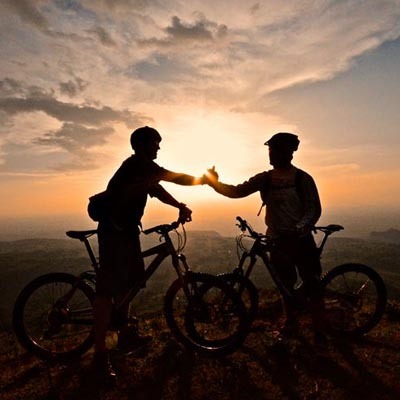 Sipi Falls is a tranquil place to soak up nature, take a cultural coffee tour or embark on a little mountain biking.